7:30am, Pacific Time. Kenya Barris pulls into the parking lot of the Hollywood office where he creates comedic magic for his hit sitcom, Black-ish, which premiered its second season last night. Executive producer and co-showrunner Barris promotes the show by taking calls from press, placing them on hold, clicking to the second line, and returning to answer more questions. He’s verbal. Funny. Black college educated (Clark-Atlanta). And like most parents, enjoys talking about his children. Barris is the foundation of who and what you see when tuning into Black-ish. Raised in Compton, he found creative and financial success when partnering with childhood friend Tyra Banks to create America’s Next Top Model. Its international success led to him becoming a writer for numerous projects, including The Game and Are We There Yet? He married a doctor named Rainbow (same as Tracee Ellis Ross’s character on Black-ish). And like his characters Rainbow and Andre Johnson (Anthony Anderson), Barris raises children while struggling to maintain his blackness in a world of upper class, White neighborhood living. 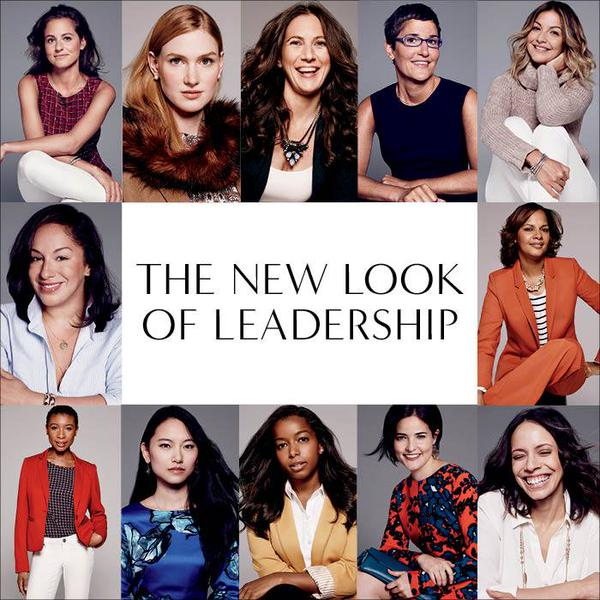 Love & thanks to amazing photographer of the stars, Paola Kudacki, for this picture from #TheLimited “New Look of Leadership” campaign. I’m typically nervous, tense, and feel completely awkward at photoshoots. Shiny needing powder. Sweaty needing a fan. Paola relaxed & comforted a stiff lady. “Stand like this,” she said. “Bend like that.” “Take a deep breath.” “Close your eyes. Open them. Beautiful.” And voilà. These photos are the result. Thank you for the blessing, Lord. I am truly thankful. Again and again. #Amen. 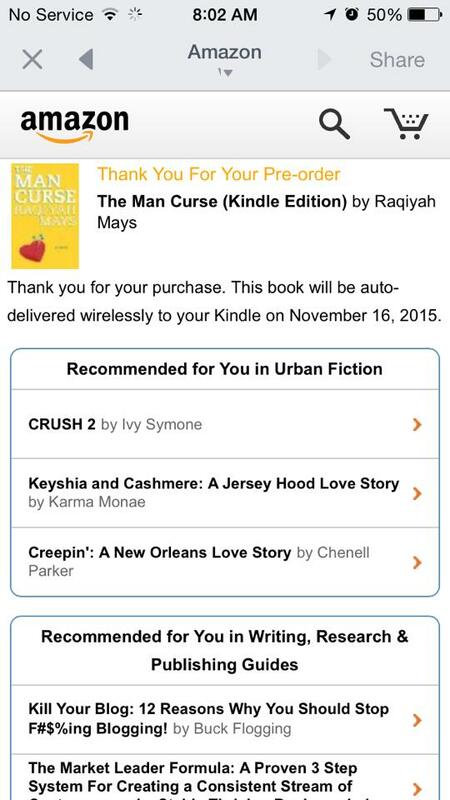 So I woke up smiling to an email with this screenshot of someone who pre-ordered my novel “The Man Curse.” THE PROBLEM is when I scroll down and see the “Recommended Books.” “Urban Fiction.” Aggravates me because there’s nothing technically urban about my protagonist. She’s from the suburbs. The only thing “Urban” by “Mainstream marketing” standards is the color of my lead character’s skin. Although thanks to gentrification that’s not necessarily the case in “Urban” areas these days. Right? She is not beat down on her luck. She speaks proper English. She’s an intelligent, college educated, girl who deals with the same issues women of ALL colors deal with in love. And she actually works through them. To be clear: She finds her shine. And to be even more clear, just because you’re from the hood doesn’t mean you’re not smart or can’t speak proper English or are always on welfare with criminal issues. But that is the media narrative. The corporate company narrative of black folks. And I am sick of it. My lead character, Meena, JUST happens to be black. Outside of racism, black women go through the same ups and downs those of other races go through when it comes to love. 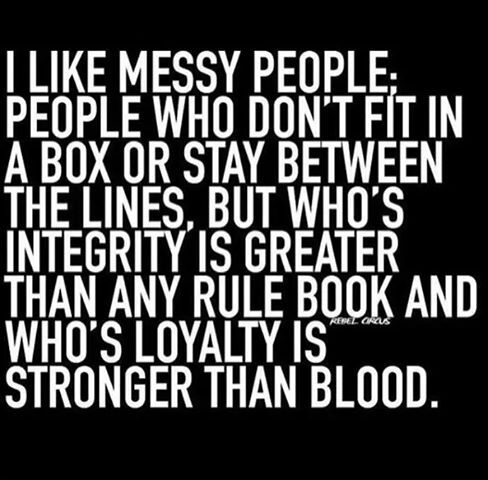 And yet because of skin color, I have already been racially “profiled” and boxed into the “Urban” category next to books like “Creepin'” or “A Jersey Hood Love story.” No disrespect to any author of hood classics. I’ve read a couple I like. But that is NOT “The Man Curse”. And I am not feeling the generalization based on skin color. #Offended ‪#‎SidewaysLook‬ ‪#‎StopIt‬. Shout to Karen Hunter. I know this is not your doing. 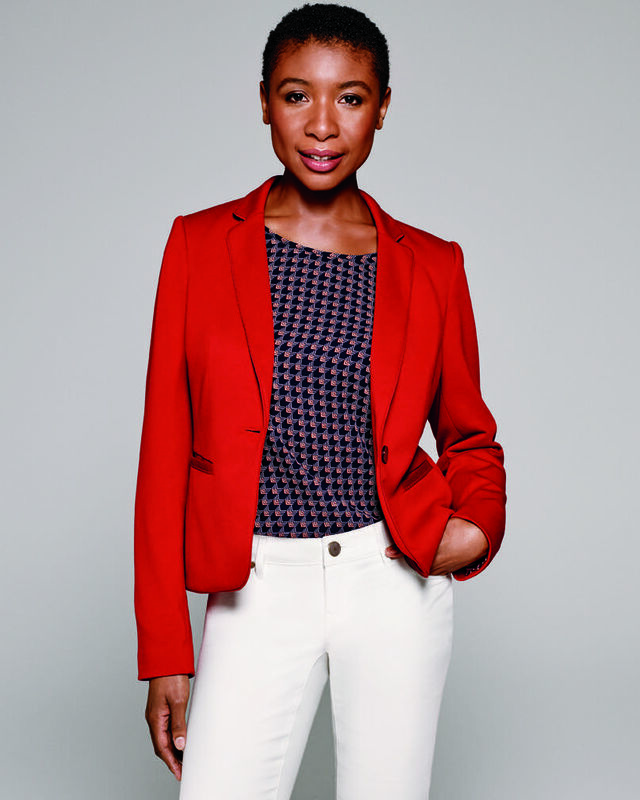 Raqiyah Mays is an author, journalist, radio personality, and activist. 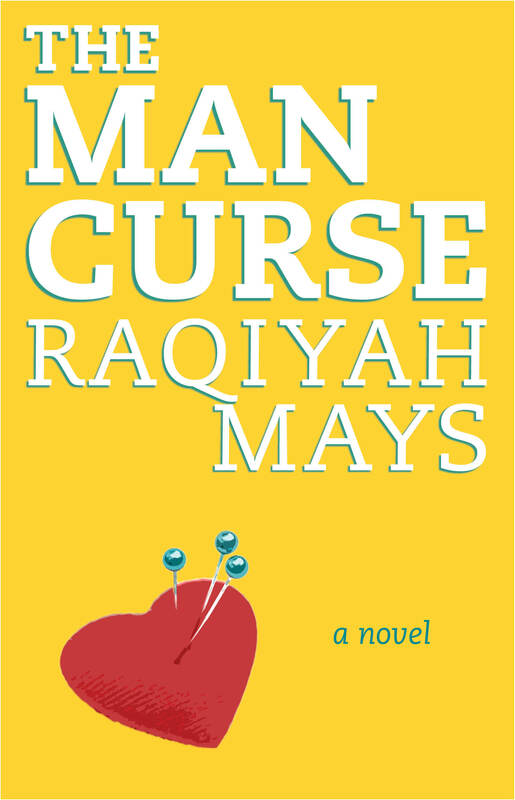 Her debut fiction novel “The Man Curse” will be released by Simon & Schuster on November 16, 2015. PS: I got this meme below from Lisa Rinna, by the way. She is not black and feels the same way. GASP! 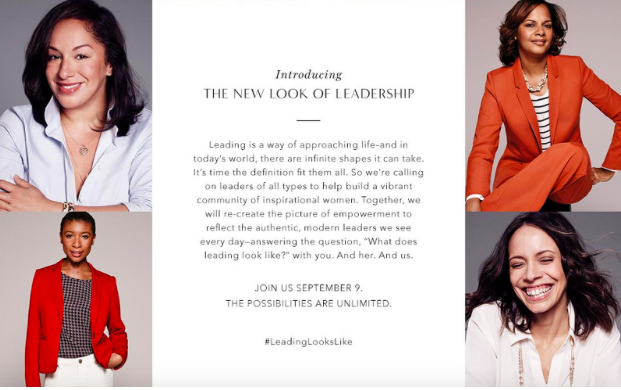 You are currently browsing the Raqiyah Mays blog archives for September, 2015.